This is a true showpiece. The spectator joins in shuffling a packet of cards. 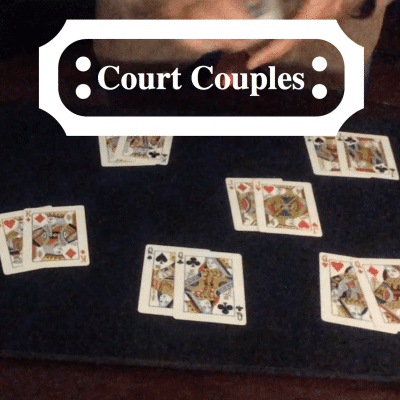 A card is selected from each shuffled packet and cards are placed face down on the table. The cards are shuffled again and any card is selected. All four selctions are placed face down in a pile. The card packets are gathered and put aside while focus is now onto the four selections and what they have in common. First they are all black. Then all clubs, all odd cards and the when looking at the cards they were selected from they are the only black cards that could have possibly selected. What a coincedence! Just a really great routine. Good one to have in your card library.